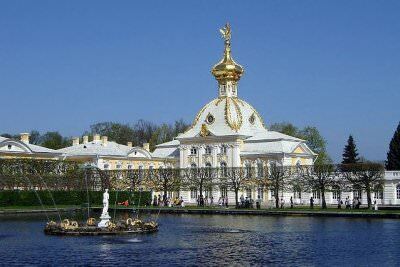 The duration of an individual guided tour to Peterhof is for 5 hours. 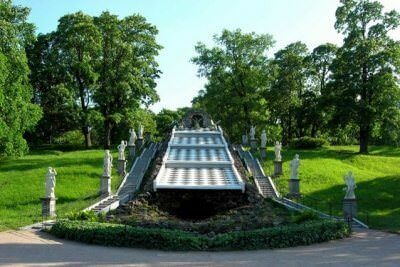 Peterhof is perhaps the most famous suburb of St. Petersburg. 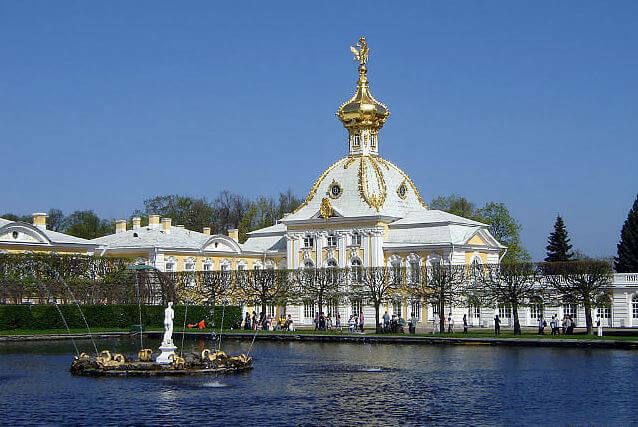 No trip to the Northern capital is complete without visiting to this amazingly beautiful palace and park ensemble. Many tourists say that even Versailles fades on its background. 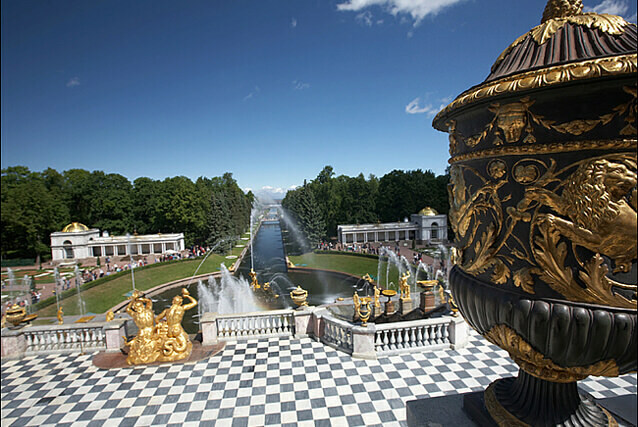 Fabulous palaces and fountains, shady alleys and shining golden sculptures, secluded gazebos and the access to the Gulf of Finland - all of these make Peterhof an unforgettable place. In this beautiful summer residence, established by Peter I, we will go along Old Peterhof road. 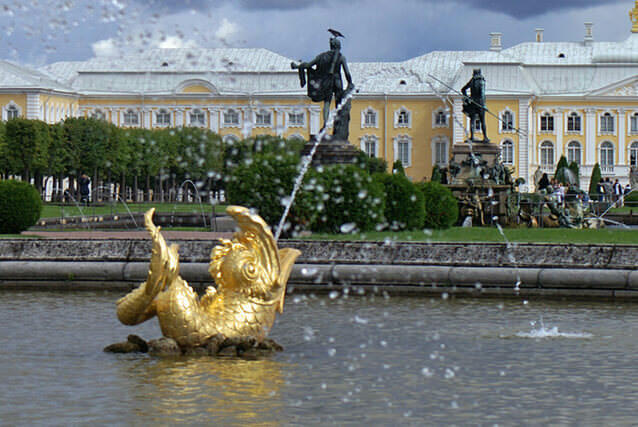 Once, it was a grand exit from St. Petersburg for the tsar and his close associates. 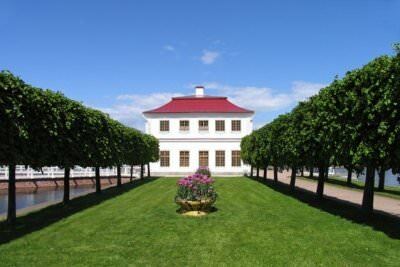 On our way, we will meet the former country estates of the Sheremetyevs, Dashkova, the Naryshkins, and Nicholay I’ sons. 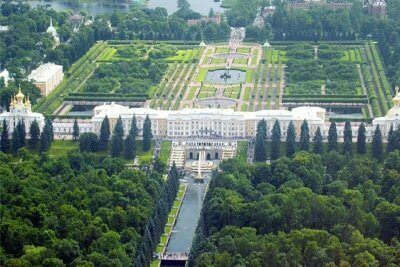 In addition, we will pass through Strelna - another suburb of St. Petersburg, where there is the majestic Constantine Palace (also, known as the Palace of Congresses. “Bath block” will allow you to get acquainted with domestic side of the tsars’ life and learn how and where Russian emperors took a bath. The excursion in the small palace lasts about 45 minutes. 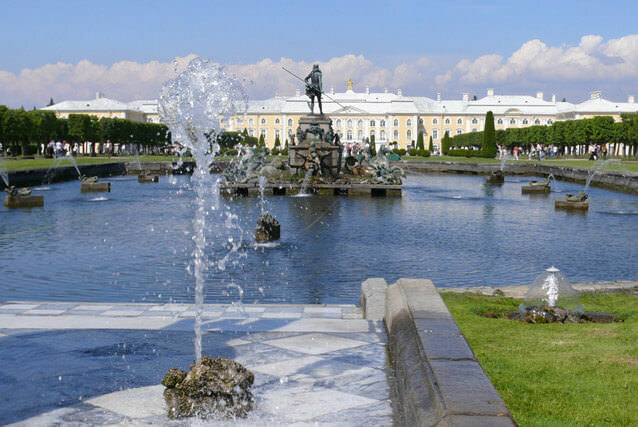 In addition, “Petersburg Travel” offers you to make a stroll about the Lower park, where you can see the very fountains known all over the world. Lower Park is a gigantic regular park, which is situated on the shores of the Gulf of Finland. 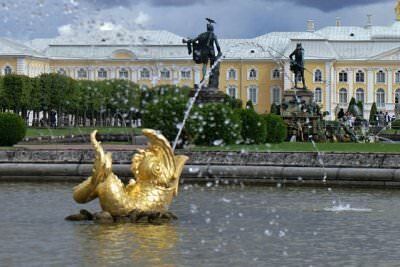 We can see such fountains as “Eve” and “The Sun”, Roman and Greenhouse fountains and, of course, we can see the famous golden fountain “Samson” - the heart of Peterhof - the figure of the hero Samson tearing the lion's mouth. This fountain is a part of the “Grand Cascade”. Also, we can see the other cascades: the Lion one, the Chess Mountain, etc. 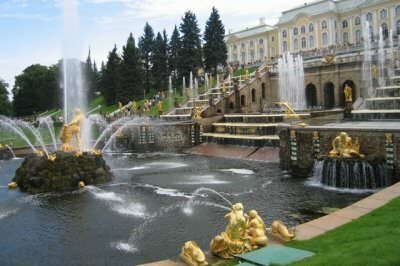 Of course, we do not pass through the famous royal entertainment: fountains - jokes, which make a delight from both children and adults. In addition, during the tour, you can visit one of the numerous cafes and restaurants of the park. We providing private guided tours to Peterhof in English, German and other languages.